This Sunday March the 27th marks two important rites of springtime. The first is Easter Sunday which is celebrated annually and is calculated according to the vernal equinox, also known as the spring equinox. The other exciting occurence this Sunday is that the clocks go forward an hour as we gleefully enter British Summer Time! Sure, we have to sacrifice an hour of sleep on Sunday night but the reward of lighter nights are definitely worth it. With these two events to get excited about this weekend, we thought we'd reduce the price of some of our favourite Easter Flower bouquets to help you celebrate Easter Sunday in style. A bouquet of Easter flowers is just the thing to lend a touch of colour and vibrancy to your household if you are planning to host lunch or dinner for your friends and family. Or if you've been invited round to someone else's home to spend Easter, a bouquet of flowers is the perfect gift to show your appreciation. Easter is always synonymous with the season of spring, making it ideal for a springtime bouquet such as our splendid Mixed Tulips. 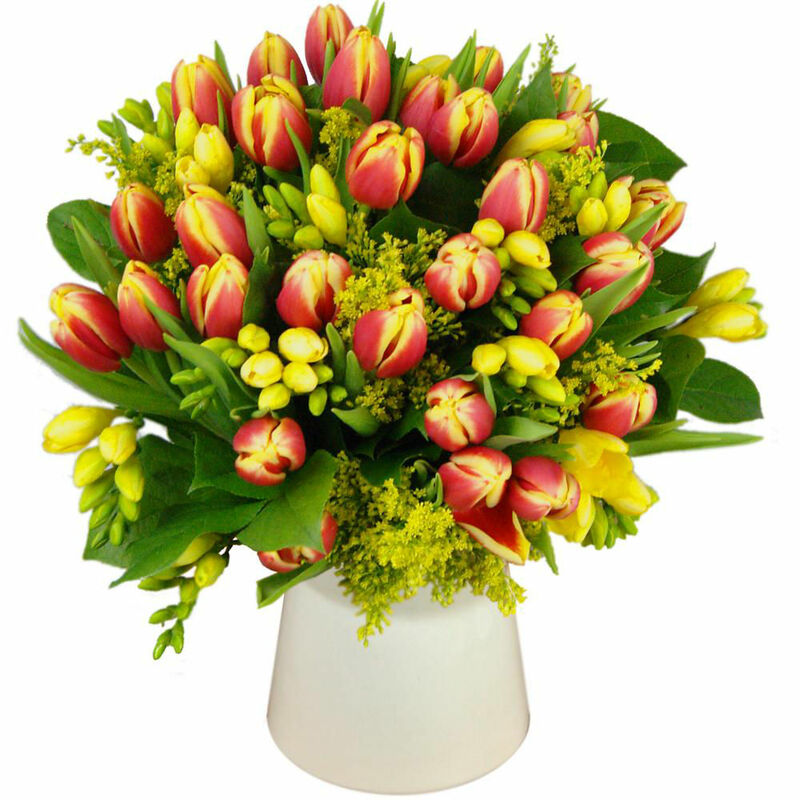 Featuring an exquisite array of orange, red, pink and yellow tulips, this vibrantly colourful bouquet will instantly brighten any surroundings. 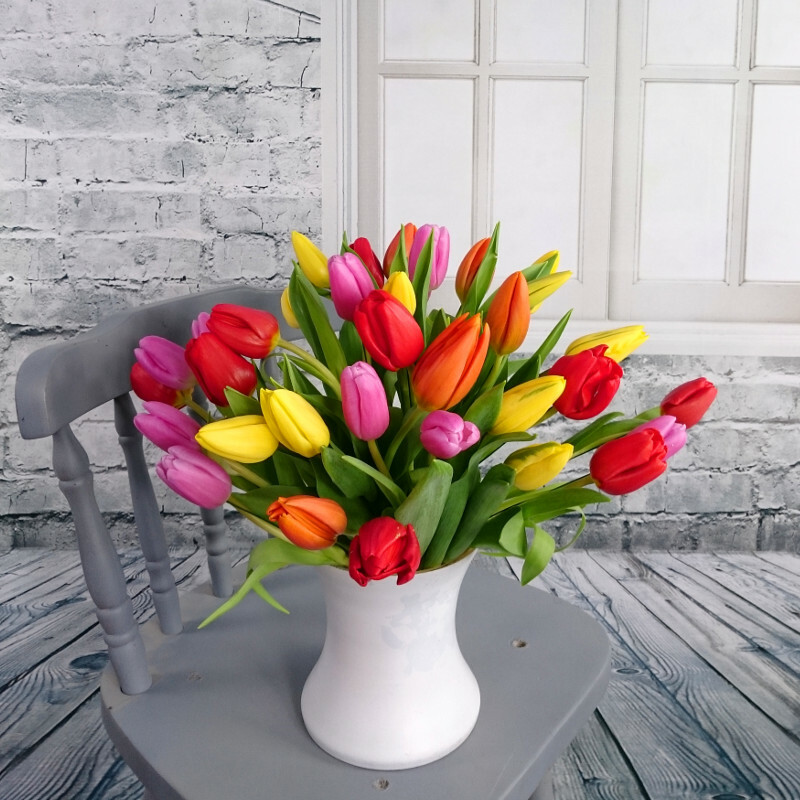 For a limited period only we are offering 31% off the usual price of Mixed Tulips which means you get this astounding floral arrangement for just £24 with free next day delivery included. Want something else in your bouquet besides tulips? Never fear, we also have another amazing offer in the form of 23% off our Midnight Iris bouquet. 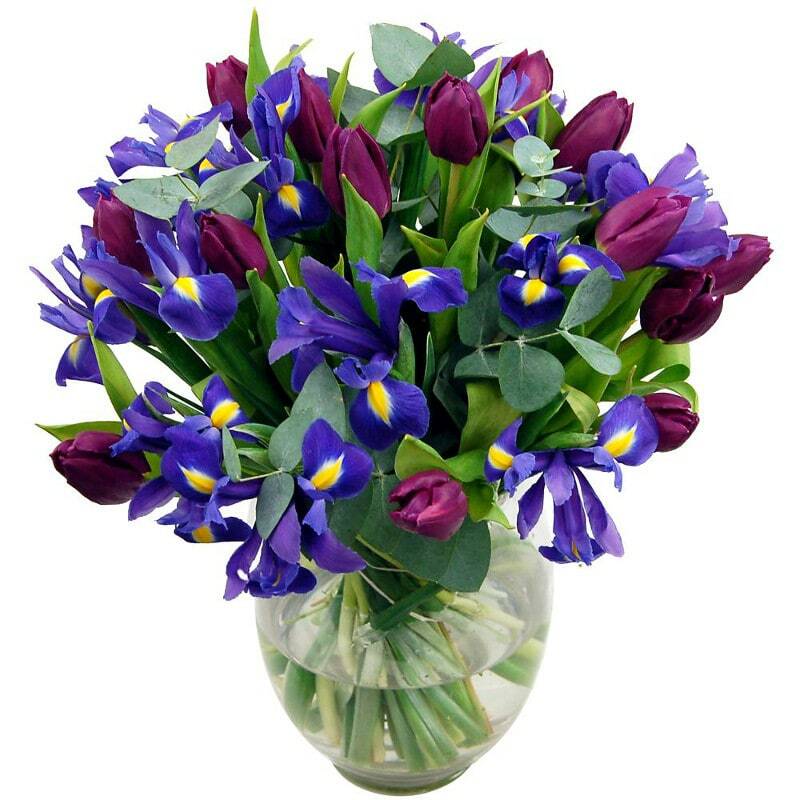 Featuring dusky purple and deep blue hues, this arrangement combines fresh tulips with pretty iris flowers to absolutely exquisite effect. Free delivery is included for just £27 and you can even upgrade to a bigger deluxe version of this bouquet for only £3.50 extra! Last, but certainly by no means least, we have the radiantly colourful Tulip and Freesia Bouquet which features, as the name suggests, a sublime mixture of the freshest high grade tulip and freesia flowers in eye-catching red and yellow hues. You can get 40% off this arrangement whilst stocks last which means a price of just £24 with free next day delivery included! However you plan to spend this Easter, a vivid and vibrant bouquet of fresh spring flowers is certain to add a sprinkling of joy to the proceedings. Whether sent as a gift or used to decorate your home, Easter flowers are a simple yet highly effective means of spreading smiles and happiness among the ones you love.